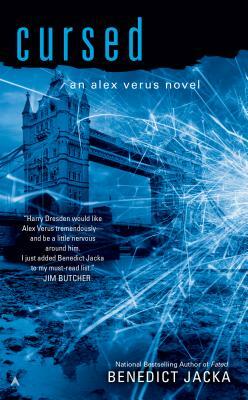 Dark rituals drag London mage Alex Verus into the center of a conspiracy in this thrilling novel from the national bestselling author of Marked. Since his second sight made him infamous for defeating powerful dark mages, Alex Verus has been keeping his head down. But now he's discovered the resurgence of a forbidden ritual. Someone is harvesting the life-force of magical creatures—destroying them in the process. And draining humans is next on the agenda. Hired to investigate, Alex discovers not everyone on the Council wants him delving any deeper. Struggling to distinguish ally from enemy, he finds himself the target of those who would risk their own sanity for power. Alex still has the advantage of seeing the future—but he might not have a future for much longer. Benedict Jacka is the national bestselling author of the Alex Verus series. He’s half Australian, half Armenian, and grew up in London. He's worked as a teacher, bouncer, and civil servant, and spends his spare time skating and playing tabletop games.